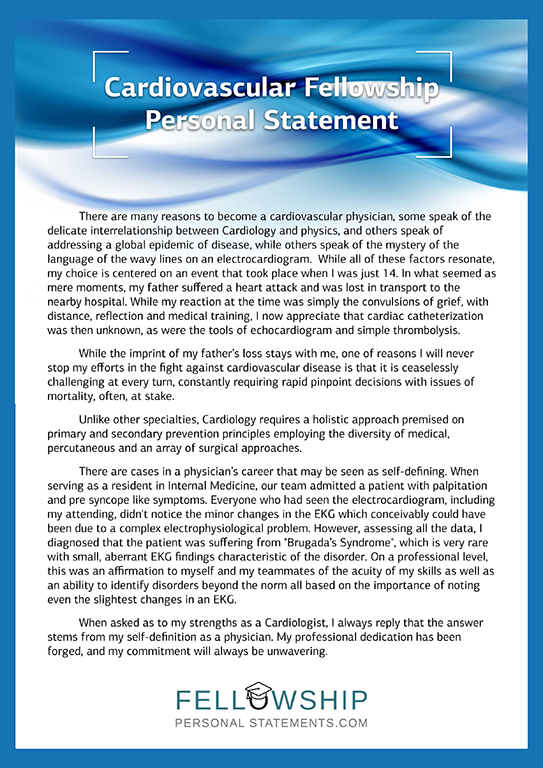 If you are setting out to write your personal statement for a cardiovascular fellowship you will be confronted with a lot of problems and challenges. This task has to be executed perfectly because it is the only way that you can show the admission committee who you are and what you hope to achieve in life. It also gives you the possibility to tell the board what motivates you to apply for a cardiovascular fellowship. However finding the time to do the writing to the required standard which is why you may want to follow our expert tips or even make full use of our specialized help with writing a personal statement. What goals have you set on short- and long-term? – What are your intentions right after completing the fellowship? Where do you envision yourself in five and ten years? What are your life goals? Show the reader that you have such goals and that you fully comprehend what they entail. How did these goals come to be? – What happened in your life to define these aims? Was it a personal challenge or experience? Give details. It will be important to the committee for how long you have been following these goals. What have been your actions toward your aims? – What have you done outside of the schooling perimeters that have enhanced you with your goals? Have you done any volunteer work or partaken in community activities? What effect will the fellowship have on your goals? What skills and knowledge do you hope that the fellowship will provide you with? Why did you decide to be a physician? Let them know what sparked your interest in medicine. This can be connected to your hobbies, family or simply to a situation that inspired you. Why did you choose this specialty? Tell them what you like about the field, why you see your future connected with this particular branch of medicine. What makes you a competitive candidate? This is your time to shine. Write about past accomplishments in medicine, published work or social projects. Basically, anything that is related to the specialty. What you’re looking for in the program? Once you’ve told them why they should choose you, tell them why you chose them. Write a strong conclusion. A sentence like “Thank you for considering my application…”, or something, will not work here, it just won’t be able to seal that impression that the reader got from your statement. Make sure to come up with something really good for the concluding part. How Do We Supply Help with Writing a Personal Statement? If you are struggling with your ERAS medical fellowship personal statement writing we can help. We employ the best writers, and only one that is knowledgeable about the admission procedure and requirements in your field of expertise will be chosen to support you. They will create the personal statement for a cardiovascular fellowship from scratch after having contacted you to discuss the information that is required. What Other Service Do We Offer to Support You with Your Application? 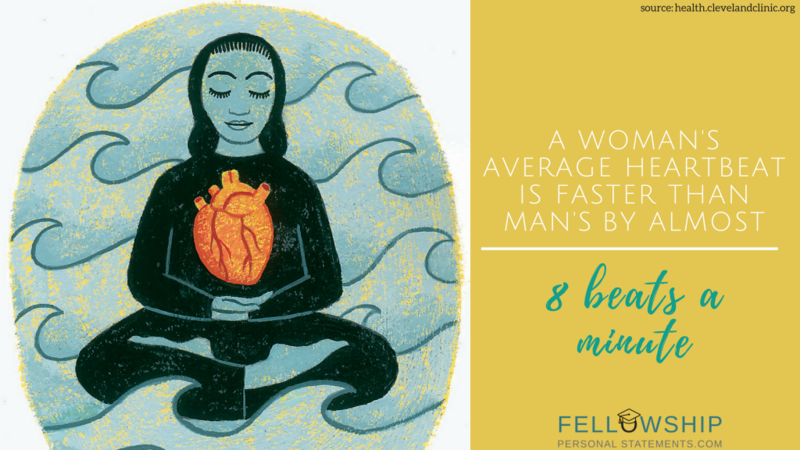 So if you need help with your cardiovascular fellowship personal statement just contact our experts here today!